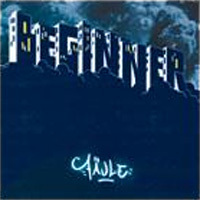 Die Beginner kommen heute, und haben alles, nur keine Fäule The Beginners are coming today, and we have it all, just none of that rot! Hey yo, wir bringen die Sachen, die Wirbel machen wie 'ne Turbine Hey yo, we’re bringing things to make winds like a turbine. Und nicht so 'ne Fäule, so 'ne Fäule! And none of that rot! Ne man, alles chef, alles def, alles Routine! No man, everything’s top, everything’s def, everything’s routine. Wir haben die Musik die süß schmeckt wie Phillie-Blunts. We have the music that tastes great, just like Phillie-Blunt. Wir bauen Bomben doch nicht im Sinne von George Bush! We’ll make some bombs, but not like George Bush! Und brauchen deshalb nicht auf dicke Hose rumposen. And we don’t need to pose around making a scene. Doch haben auch nich grad’ das Temperament von Chorknaben, But we sure don’t have the temperament of choirboys. die so tun als wär Hamburg groß wie Paris, New York und London. Who act like Hamburg’s as big as Paris, New York or London. mal wie Berthold Brecht, mal eher wie Mike Krüger, Sometimes like Berthold Brecht, other times like Mike Krüger. und wenn es rockt, kommt es 'rauf auf die Platte. And when it rocks, then it goes on the record. bis die Beats Spaß bringen, wie Filme mit Steve Martin. Until the beats are really fun, like films with Steve Martin. denn ich liebe es die Meinungen zu spalten wie beim Holzhacken. Because I love breaking opinions apart, just like chopping wood. Ne man, alles Ro-Ro-Ro-Ro-Routine! No man, everything’s rou-rou-rou-rou-rou-routine!